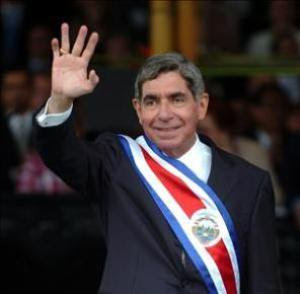 SAN JOSE, Costa Rica (AP) -- Nobel Peace laureate and Costa Rican President Oscar Arias said Tuesday that he has swine flu, showing that not even a head of state is safe from the virus that has caused worldwide concern but relatively few deaths. The 69-year-old president and Nobel Peace Prize winner said in a statement that he was quarantined at home and is being treated with the anti-flu medicine oseltamivir. "The pandemic makes no distinctions," Arias said. "I am one more case in this country and I am being submitted to the recommendations that health authorities have established for the entire population." Arias suffers from asthma and is at higher risk than most, but was in good enough health to continue working. 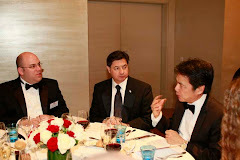 "Aside from the discomfort of the fever and sore throat, I feel in good shape and in full capacity to carry out my work by telecommuting," Arias said in the statement. The president had flu symptoms since Sunday, but participated in public activities as late as Tuesday morning, when he appeared at a call center. Arias has been serving on-and-off as a mediator in the political crisis in Honduras after that country's president was ousted June 28 in a coup.